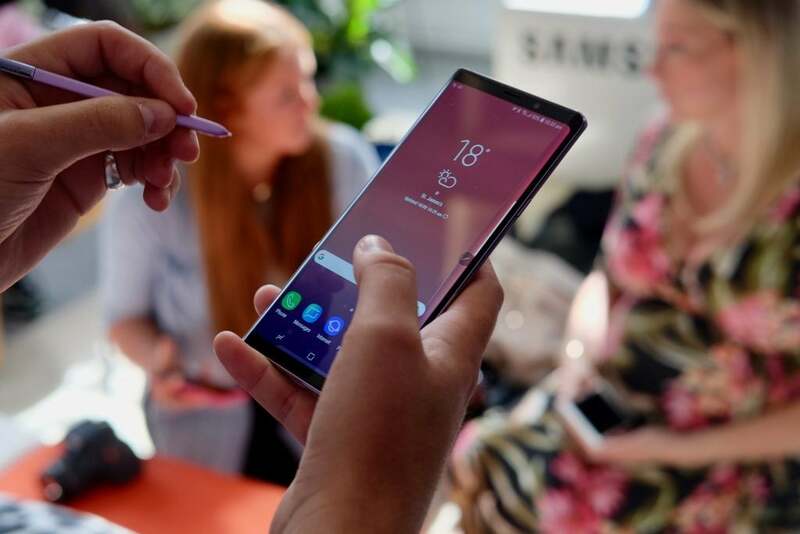 There isn’t another Android phone on the market quite like the Samsung Galaxy Note 9. It’s unashamedly huge, seriously expensive, and jams pretty much every high-end feature into a surprisingly svelte package. It’s closest competitor is the iPhone XS Max. At first sight it may appear that not much has changed from the Samsung Galaxy Note 8 (or even the Samsung Galaxy S9 Plus), but this is a much better phone that might just be worth that £899/$999.99 price tag. If you’ve seen the Note 8 then you’ve seen the Note 9. Samsung has kept the overall design similar – and that isn’t entirely a bad thing. Even though it’s been around for a year, the curved front and sandwiched metal rim continues to feel distinctly modern. Many phones have adopted a similar look, but none feel as highly engineered and finished to perfection. The glass remains a smudge magnet, and I live with the constant fear of dropping such a large device – but I’m inclined to forgive these shortcomings for such a well-crafted phone. The biggest design difference is that the fingerprint sensor now sits below the camera, not next to it. This small change makes a big difference: I no longer end up smearing the camera sensor every time I unlock the phone. If you’re even considering then the Note 9 then you’ll know it’s a hefty device. Even with a super-slim bezel running around the 6.4-inch screen this is still amongst the biggest phones I have used in a long time – and that does come with some issues in itself. This is a tough, often uncomfortable phone to hold mostly due to the rather sharp chamfered rim. The whole phone just needs to be a bit smoother and softer. My big issue with the design is the Bixby button. Sitting just below the volume key, the dedicated button for the Bixby assistant has been a constant on the past few Samsung flagships – and it remains a source of frustration right up to the point you disable Bixby completely. I’ve lost track of the number of times I’ve pulled the Note 9 out of a pocket, clearly hitting the button by mistake and therefore being taken straight to Bixby. You can turn it off, but I’d much rather have the button accessible but with a better-thought-out action. In fact, why isn’t Bixby summoned with a long-press of the power key? That would make so much more sense. Other colours include a lavender purple, a fairly standard black, and a copper hue that won’t be available in the US/UK yet. The displays Samsung produces for its own handsets (alongside those of other phones, such as the iPhone XS) are the best for a number of reasons. The Note 9 uses an OLED panel. Compared to LCD, OLEDs use less power and only power on the required pixels, therefore displaying perfect blacks. This means that when you’re watching content with plenty of dark scenes, they’ll actually look black rather than slightly washed out. Samsung’s panels also have much better colours than competing OLEDs from LG – in my opinion, anyway – and that’s certainly the case here. In the default mode everything looks vibrant and punchy, without sacrificing too much colour accuracy. There might be slightly more punch to reds than you’d see in real life, but I think that’s more pleasing to the eye here. In their infancy OLEDs on phones suffered with poor brightness and as a result had difficulty with poor outdoor visibility. That’s not the case here: the panel is ridiculously bright and I tended to not even feel the need to push it past 45-50%. The brightness will also boost in super-bright environments making it easy to read. 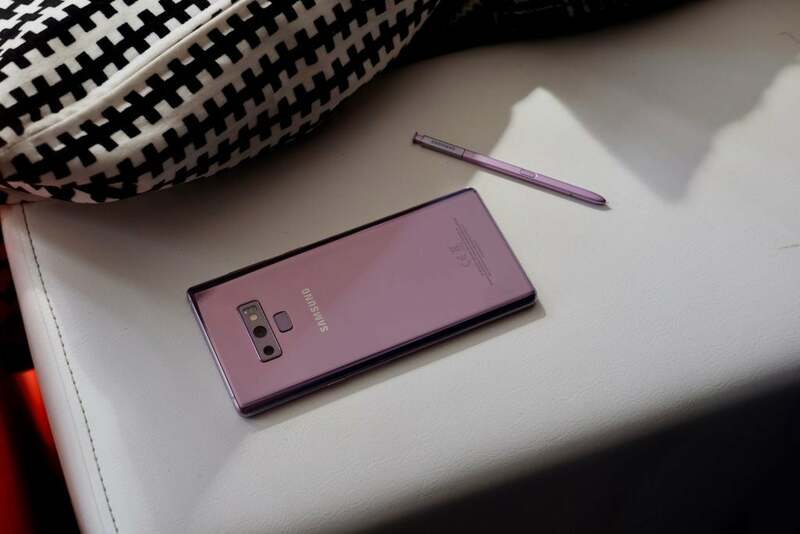 The post Samsung Galaxy Note 9 appeared first on Trusted Reviews.